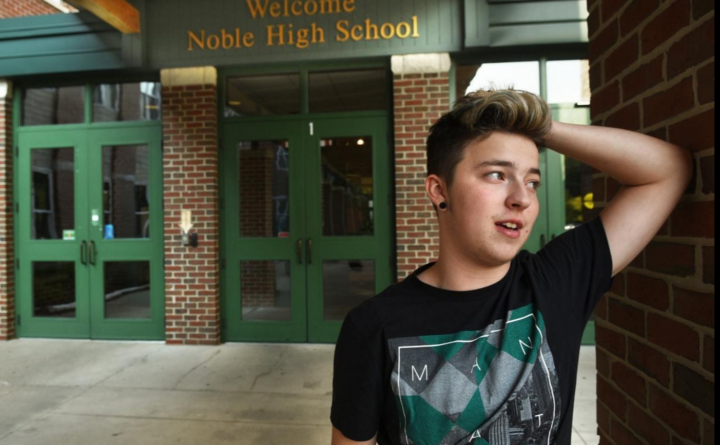 Stiles Zuschlag of Lebanon, who was known as Alija before his transition, began attending Noble High School in North Berwick this year after he said the New Hampshire Christian school he attended kicked him out for being transgender. A top student on track to be valedictorian at Tri-City Christian Academy in Somersworth, New Hampshire, said he was told he was no longer welcome at the school he had attended since kindergarten because he is transgender. Stiles Zuschlag of Lebanon, Maine, who was known as Alija before his transition, claims he was told during the final week of August that he could not return to the campus of the private school on West High Street. Zuschlag said he and his mother had a meeting with Paul Edgar, administrator of Tri-City Christian Academy, to talk about Zuschlag’s transition from female to male. During the meeting, Zuschlag sought confirmation the school was aware he was transgender and that it would not be a problem for him to be educated at the school for his senior year. Zuschlag, who started to go by the male name Stiles Maverick Zuschlag when he transitioned to male in 2015, knew the school was aware of his gender change but wanted to be clear he was no longer going to be identified as Alija. Zuschlag said during the meeting with Edgar, the administrator told him he was no longer welcome at the school because he was transgender and planned to continue that journey. According to Zuschlag, Edgar told him he was “going down the wrong path” and that he should confess his sins, renounce he was male and stop testosterone treatments. It was suggested he take Christian counseling. Not only would Zuschlag be denied valedictorian honors, he was banned from the school, he said. TCCA’s administration would no longer allow him to physically attend the private, religious institution. He said he was told he could not be on the campus. Lori Kincade, public information officer with the N.H. Department of Education, said TCCA receives no federal funds through the state office. It is not known if TCCA receives federal funding through other means. Kincade declined to shed light on whether the receipt of federal funds requires private schools to adhere to non-discriminatory policies. Kincade declined to speak to Seacoast Sunday on the matter. 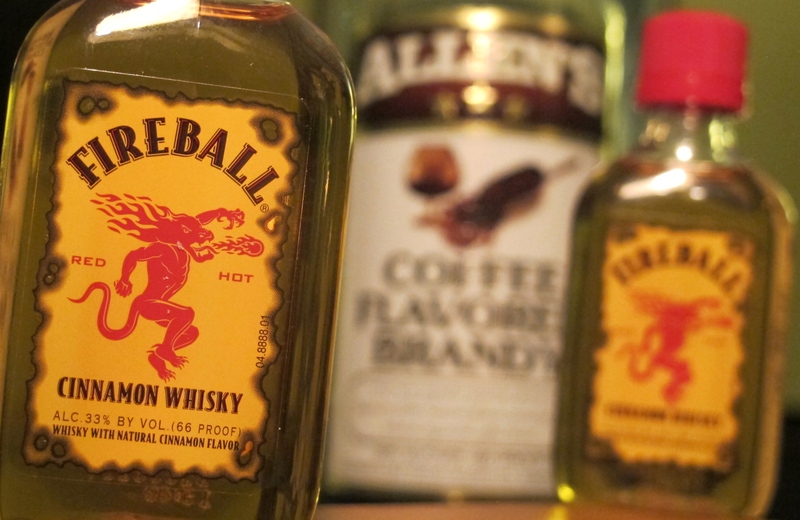 “The NH DOE is not in the position to provide legal advice,” she wrote in an email Friday. New Hampshire District 2 Executive Councilor and top New Hampshire education attorney Andru Volinsky on Friday said religious schools such as TCCA can legally ask a student to leave regardless of whether it receives federal money. “In this day and age, the rights of a religious school are paramount to the rights of a student who goes there because the student always has the remedy of going to another school,” Volinsky said. Volinsky called the facts of Zuschlag’s case “heart-breaking.” He and other experts he talked to about the story said Zuschlag’s only option was to leave the school. When it became apparent TCCA was not an option for his senior year, Zuschlag applied to Noble High School in North Berwick, Maine. During the initial interview, he told the interviewer at Noble that he was a transgender male and the school’s response made him comfortable right away. He was promptly asked which pronoun would he like to be called, which gender bathroom preferred and which locker room he wanted to use. Zuschlag said he misses the school he attended all his life but is happy at Noble. Zuschlag is finally comfortable with himself. For so many years, when he was living as Alija, it didn’t feel right. “I never felt comfortable as a girl,” he said. “I never wore dresses and always admired men and wanted to be like them,” he said, recalling he even went to one school event in full tuxedo. Zuschlag was born in 2000 and given the name Alija. He said he had a very standard youth. As a young girl, Zuschlag was marked by friends and family as a tomboy. By the time Zuschlag was 13 or 14 in eighth and ninth grade, he started dressing like a girl and trying to act like one. “I didn’t understand why I didn’t fit in,” he said. “Why was I abnormal and no one understood me?” Zuschlag recalls feeling lost and confused and clearly didn’t understand how to be what was defined as a female. That was in 2015 and Stupelis knew her daughter was becoming a boy. Summer came and he had chosen Stiles as his new name. Because of her relationship with her child, “It was not unusual for me. She acknowledges being taken back a bit, but, her “mother’s instinct was to support and love this child,” she said. Although his change of appearance was important for his own self identity, it was less jarring for those around him. “There wasn’t much to change. Everyone had been accustomed to my masculine tendencies, so my coming out wasn’t much of a surprise. It was more of a ‘Finally, I was waiting for you to come out,’” Zuschlag said. In August 2016, with the advice and care of a physician specializing in transgender medicine, Stiles started taking the male hormone testosterone. “It was the best day of my life,” he said. “I won’t be mis-gendered anymore.” Zuschlag said he was happy he would finally be properly identified and not be called a girl any more. His mother knew that the transition was going to happen sooner or later, she said. For Stupelis, the past year or so has been a time of change and a time for both to experience the variety of people’s reactions, some positive, some not so positive from some Christians. Zuschlag’s younger sister, Hope, 12, was sympathetic to her brother’s transition. The big adjustment was calling him Stiles, after having a sister all her life. Hope was fine with it, saying Stiles fit easily into the male role. As with many transgender teens, Zuschlag’s transition didn’t come easy. Most of Zuschlag’s classmates had been with “Alija” from the beginning of their school years at TCCA. Zuschlag said they had sensed a difference and eventually he told them about the plan to transition to male. Most agreed to call Zuschlag by his new name and accepted him. Although challenges were to come, they did not dissuade Zuschlag. “It was obvious to me that God wants me to do this,” he said. Zuschlag was bullied in school and on social media by several fellow students quoting biblical references “which were wrong,” said Zuschlag, who said he was known as the best biblical scholar at TCCA, as well as the highest ranking student scholastically. Zuschlag is happily settled at Noble High School and is working on finding his way in the world. He wants to become a model or stage performer. He doesn’t know if it is possible to be the valedictorian at Noble since he is a transfer student and only has one year there to show his academic prowess. He said he will continue to work hard at school and see what happens. Noble, as a public school, accepts all students regardless of religion, race and sexual orientation. Several local communities, including Dover, recently passed transgender policies to protect students in the schools. Most of those local policies are close to Dover’s policy with the stated purpose of providing a safe and supportive environment for all students that is free from discrimination, harassment, bullying and intimidation. For Zuschlag, dignity, respect and acceptance is what he wants as he goes through his senior year. He recently felt a measure of acceptance when he was nominated for “Prince of Homecoming” at Noble.